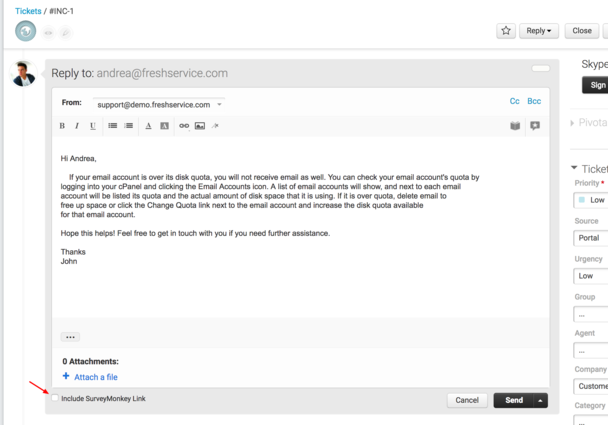 Integrating SurveyMonkey with Freshservice will provide powerful customer support through meaningful feedback. - Create and share surveys to gain meaningful data. 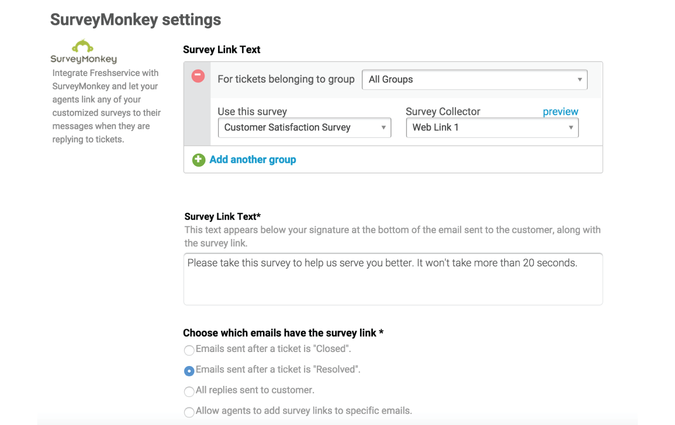 - Attach a survey to an existing ticket, or define a scenario under which a customer is invited to take a survey (for example when a ticket is closed or resolved).